Uniquely designed websites that can be built to work flawlessly on any device, from a large computer monitor or an iPad or an iPhone or Android Phone. Unlimited routine updates completed by the end of the next business day, usually the same day - Guaranteed! 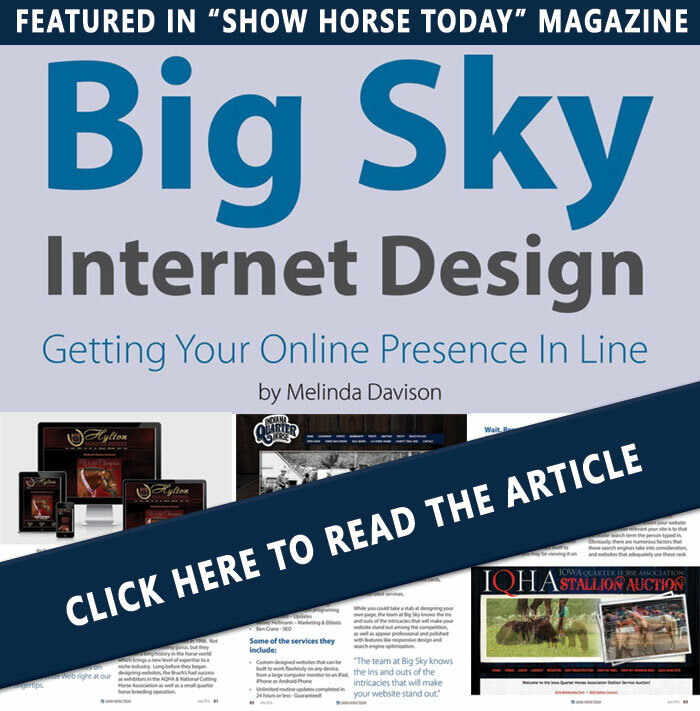 View the Article about Big Sky Internet Design in Show Horse Today magazine.